Welcome to Takes the Cake on the web. Established in 1983, Takes the Cake is a creative bakery at the service of your imagination. Based in Pasadena, California, Takes the Cake offers brides more than 100 wedding cake designs, from the traditional, to the unusual. All to suit your individual style, taste and budget. With these artisans on your side, your special day will be truly exceptional and your wedding cake beautiful. Let our artists create something unique for your special day. Please click on the Gallery links to find pictures of some of our very special wedding cake designs. Feel free to contact us for further information via phone or email. 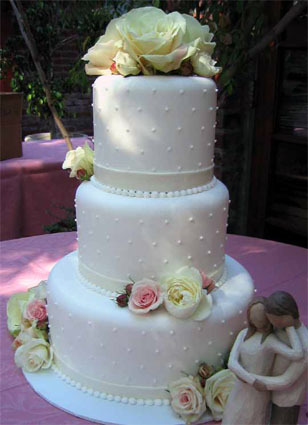 We look forward to making your wedding cake one to remember. Delivery available seven days a week.